Would you like the chance to have your art featured at the library and have professional work to add to your portfolio (if you’re college-bound and intending to be an art major, you might know how important the portfolio is)? 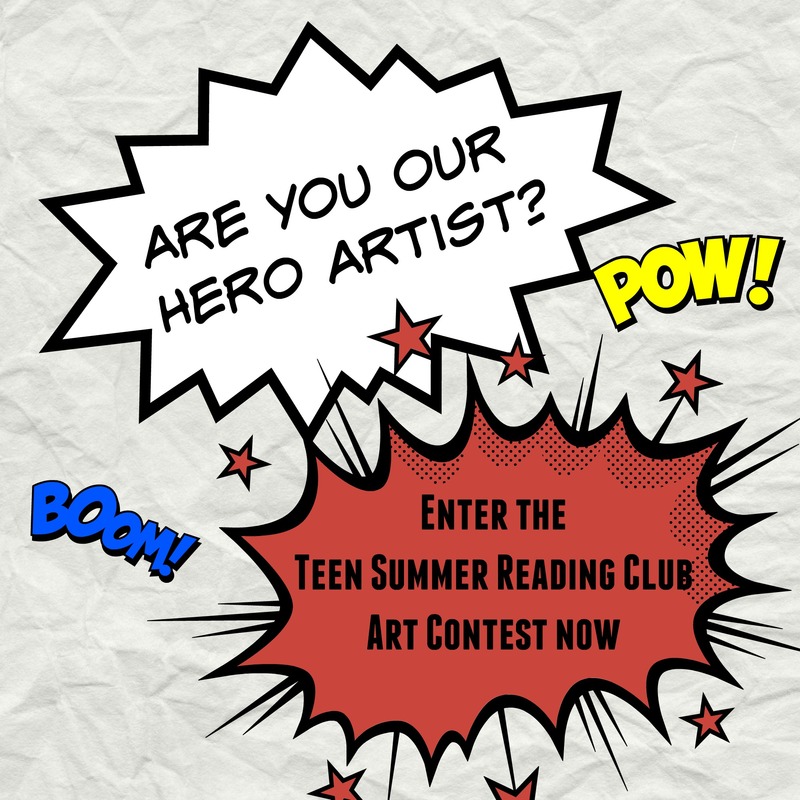 The Flower Mound Public Library is looking for an artist to design the posters, bookmarks, and web banner for the 2015 Teen Summer Reading Club! The theme this year is heroes, which includes superheroes, real heroes, comics and manga. The tagline that will be featured in the artwork is “Readers, assemble!” We’re looking for someone to create original artwork with this tagline around this theme. To enter, you have to have a library card (it’s super easy to get one; we’re literally giving them away. Seriously. They’re free). Give us a sample of what you would create on an 8.5 x 11″ sheet of paper (that’s regular printer paper size), and turn it in by February 28 at 5 p.m. If yours is chosen, you get a $25 gift card, and you’ll work with the Youth Services department to create the artwork for the Summer Reading Club publicity! And if you don’t win, you still get a free book, so technically, that still makes you a winner! If you’re interested, or know someone who might be, click here for the official rules and entry form.